Every few weeks our writers get together and answer a Disney related question. Here is this week’s question and answers, enjoy! Question of the Week: We’ll go off property this week.. Is Wizarding World of Harry Potter (Orlando or Hollywood) the best theme park land you’ve ever visited? Cassie – First off: I love Harry Potter pretty much more than anything. I think my Harry Potter tattoo speaks to that. However, as fun as WWoHP may be, it doesn’t come close to Disneyland in my book. Universal doesn’t compare when it comes to 1. Cleanliness of the park 2. 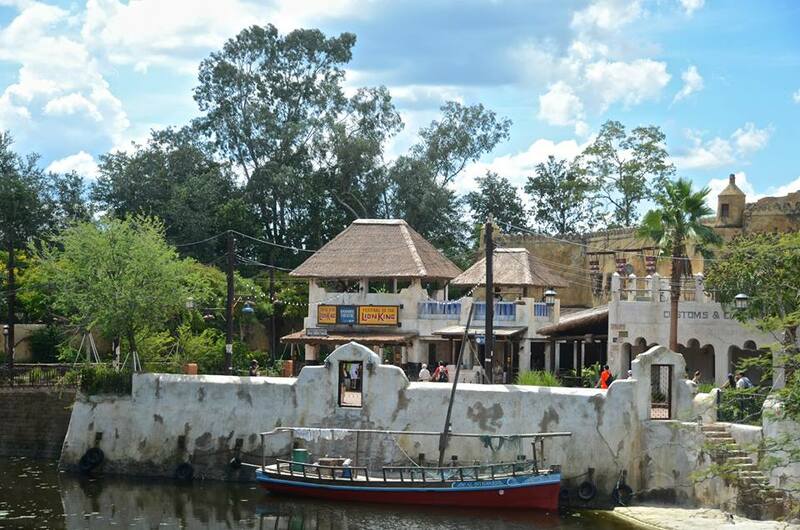 Upkeep and maintenance of attractions 3. Nostalgia. I think those three things are part of why Disneyland will always be number one. 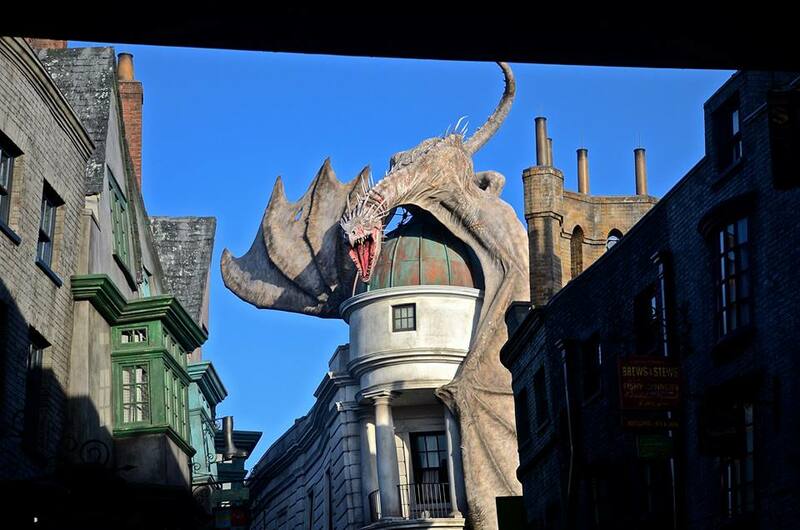 Andrew – I think that Diagon Alley in Orlando Universal is close to perfection, as a land. It’s incredibly immersive and all other parts of the park are blocked off, so the sight lines are impeccable. The only things lacking is rides. I really like Escape From Gringotts but there’s only that attraction in the land and it’s not perfect. That may be a bigger problem with the theory behind lands based off of only one single franchise than just Diagon Alley. Still, I think they did as good of a job with Diagon Alley as possible. Hogsmeade and the castle are slightly less impressive to me (even though the rides are loved more) because you can see other areas of the park and can see some show building in certain angles. I do think Disneyland holds a slightly better land in New Orleans Square and possibly Adventureland. 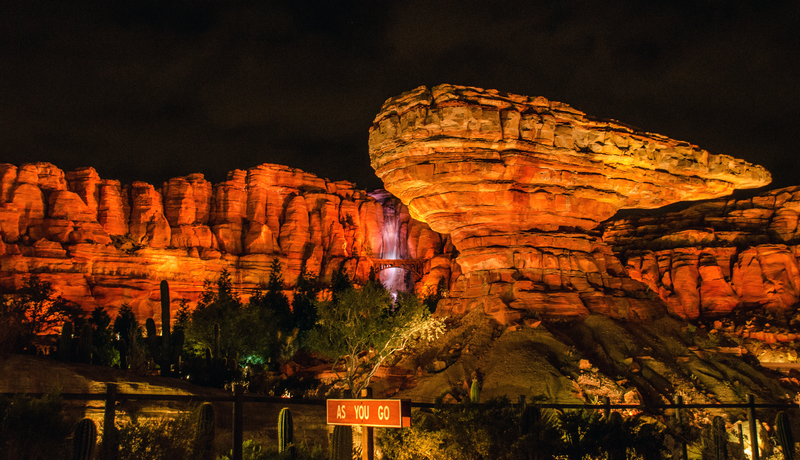 Cars Land is pretty even with the Wizarding World in my opinion. Over in Walt Disney World I think Liberty Square (MK) and Harambe (AK) measure up to that of Harry Potter. I’d be curious to see how the foreign park’s lands stack up. Do you have a favorite Disneyland land that beats WWoHP, Cassie? Cassie – I think that’s Cars land would actually beat WWoHP. While I was very into Harry Potter world, the fact that I could still see the 101 freeway and see Burbank didn’t quite put me in the world like Cars does. When you are in Cars land you are FULLY in the Pixar world. I also agree with you in terms of the rides. I had a lot of fun on Hogwarts the forbidden journey but it wasn’t close to Radiator Springs Racers. I willllll say, the food at WWoHP was amazing!!! We ate at the hogs head both times I went. Butterbeer, amazing. Steak and Guinness Shepard’s pie, amazing. Bangers and mash, amazing. Pumpkin juice, that’s right…also amazing. I didn’t have a single thing that wasn’t delicious! Melissa – I’m with Cassie in that I love Harry Potter! We went to WWoHP not to long after Diagon Alley opened and let’s just say I wasn’t let down. Now despite how much I enjoyed diving into the wizarding world, we haven’t been back or have plans to visit in the forseeable future unlike we do with Disney. Disney keeps drawing us back over and over again despite all the other parks that keep adding attractions. For Universal, I feel most of the reason we aren’t drawn back is because some parts are awesome, other parts leave things to be desired. Unlike Disney, it’s practically perfection in my eyes and does a lot better job of theming the entire park not just one land. 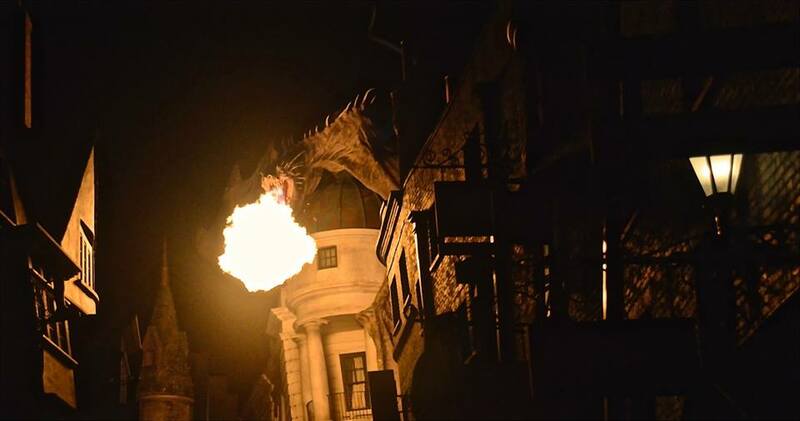 Have you been to Wizarding World of Harry Potter? How do you think it compares? Let us know in the comments! If you enjoy what you’re reading, please subscribe to the blog via WordPress or email. You can also like our Facebook page. All of those things can be done on the right side of this page. 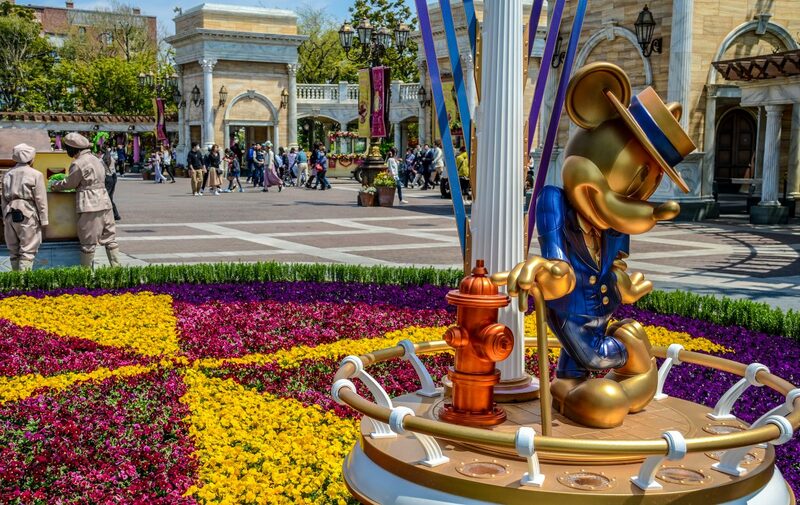 If you need any help with trip planning, leave us a comment or send us an email at wanderingindisney@gmail.com. We’d be happy to help! Thank you, again, for reading and have a great week! This was interesting. I’m not really into Harry Potter but I like seeing the comparisons. I’ve been to Universal Hollywood before and there just really didn’t seem like there was much to do there. Universal has made some really incredible steps in the last 5 years and looks to continue in the next decade. If they are able to accomplish everything they have planned I think Universal could catch up to Disney (especially in Orlando.) But Disney has some big plans, as well. From what I’ve heard, the Universal in Orlando is probably comparable to Disneyland or Magic Kingdom as far as size and stuff to do. But I think the one in Hollywood is not even close. Though I haven’t looked up actual sizes or number of attractions. They’ve done a lot in the last few years. It will probably forever be playing catch up but they have some real quality now. The great tram ride, Wizarding World of Harry Potter, and a few other select rides make it great for at least a day trip. I wouldn’t recommend more than that. For the record, I’m not a big Harry Potter fan either but I did find the land(s) very impressed.